Nigerian rapper, Reminisce has taken to his Instagram page to share the below photo of himself and his baby mama whom he calls “Iya Hafusa“. Reports have it that he has been dating her for over 13 years now and they have two daughters together. 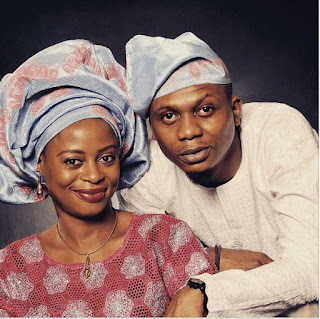 In an interview with PUNCH, Reminisce debunked a rumor that he had a secret wedding with her last year.